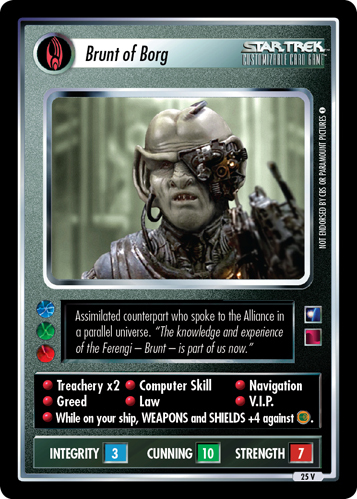 Assimilated counterpart who spoke to the Alliance in a parallel universe. "The knowledge and the experience of the Ferengi -Brunt- is a part of us now." While on your ship, WEAPONS and SHIELDS +4 against . Characteristics: affiliation, Counterpart, Borg species.